Photo by the Clean Energy and Jobs Campaign. Over the coming months CURE will be working in partnership with the Clean Energy and Jobs Campaign to push the state legislature to transition our state to clean, renewable energy like wind and solar and to improve energy efficiency. A transition to clean energy will create and keep good jobs, spur investment in communities across Greater Minnesota, and it will save money for families and businesses. Along with the benefit to Greater Minnesota’s economy, clean energy will preserve Minnesota’s lakes, rivers, streams and drinking water from mercury and other water pollution as well as preserve Minnesota’s four seasons for future generations. Hundreds of business groups, churches, nonprofits, and community members are pushing state leaders to support a clean energy plan that includes an increase to the existing Renewable Energy Standard to 40% by 2030, improving the yearly energy savings goal for utilities from 1.5% to 2%, and implementing policies that will grow renewable energy in Greater Minnesota. 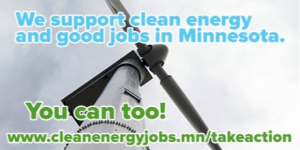 Please join us on Monday, February 2, for a Minnesota Clean Energy & Jobs Day at the Capitol to show your support for clean energy in meetings with your state legislators. CURE has reserved vehicles for transporting people in west central Minnesota to the event and will be making stops in Montevideo, Willmar and Marshall. We will also provide trainings, meetings with legislatures, youth meetings with Governor Dayton and lunch. 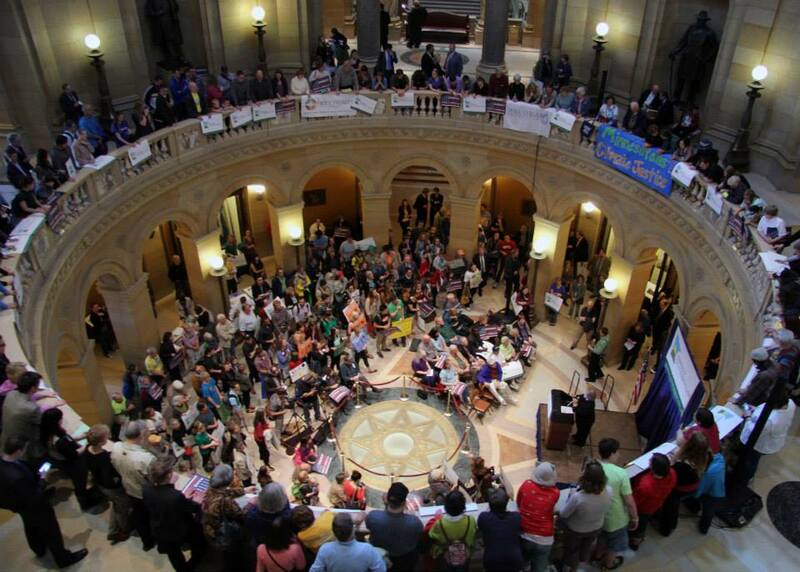 “At this years Clean Energy and Jobs Day at the Capitol, hundreds of Minnesotans, young and old, will speak out in support of a cleaner, more prosperous Minnesota,” said Kristian Nyberg, CURE’s Energy Program Coordinator. If you have any questions, please contact Kristian Nyberg, CURE’s Energy Program Coordinator, at Kristian@cureriver.org or by calling 952-564-7410.